Kyle McClellan has come a long way since being drafted in the 25th round of the 2003 Amateur Draft. On July 1st, 2005, McClellan tore a ligament in his elbow during a spot start. This was after being moved to the bullpen because of earlier struggles in the Single-A, Quad City Swing rotation. Most of the 2006 season was spent rehabbing but after returning for just three appearances he needed a second procedure on the elbow. McClellan was moved to the bullpen when he returned to protect the elbow. He excelled pitching in the Florida State League for Palm Beach. In 29 innings, McClellan had a 1.24 ERA, struck out 24 to just four walks. Promoted to Springfield, he pitched 30.2 innings with 30 strikeouts and only six walks. In 59.2 innings he allowed only two home runs.He was added to the 40-man roster and has been an effective major league reliever ever since. Three years of solid performance in the Cardinal Bullpen has helped acclimate McClellan to pitching in the Major Leagues. The team has considered moving him into the rotation several times but the lack of experienced options in the bullpen has stymied the effort. McClellan pitched well as a starter in 2010 Spring Training but the role of fifth starter was given to Jamie Garcia. In part, because Garcia pitched better, but also because the Cardinals needed a reliable set-up man to deliver late-inning leads to closer Ryan Franklin. According to Derrick Goold of the St. Louis Post-Dispatch, McClellan excelled in high leverage situations. The website Baseball-Reference.com tracks the "leverage" appearances for players, defining a high-leverage situation as one where the game is in peril, such as a tie game with a runner on third and fewer than two outs. Of the 250 plate appearances against Franklin last season, 126 were in high-leverage situations. 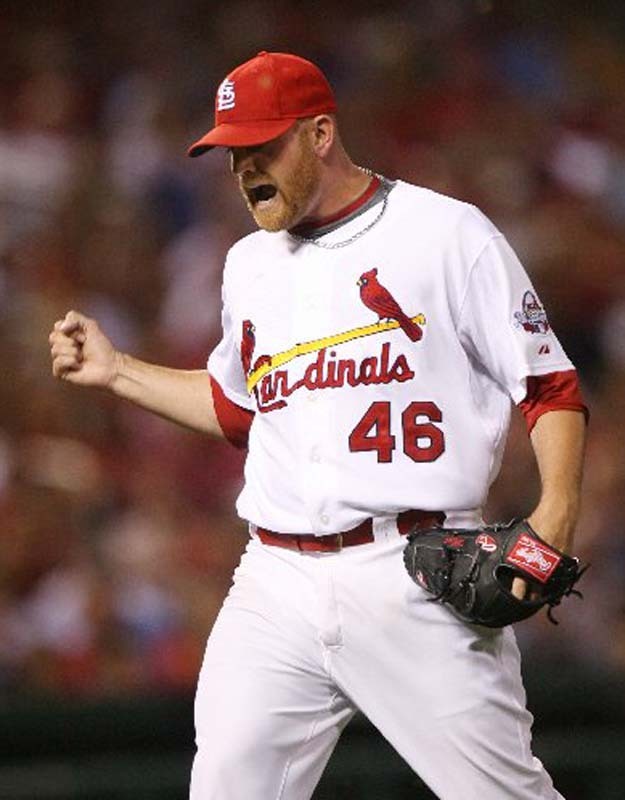 McClellan pitched in the eighth inning 29 times last season, five fewer than [Jason] Motte. But McClellan has 111 plate appearances against in high-leverage situations vs. Motte's 139 plate appearances that had low leverage. If something happened to Ryan Franklin, Cardinals manager Tony LaRussa would not hesitate to install McClellan into the closer role. That alone should keep McClellan on the fantasy radar. But with Cardinals looking short a couple of starters for next season, you have to at least consider McClellan a major candidate. With a decent strikeout rate, a variety of solid major league pitches including a groundball-inducing sinker, and very good control McClellan has the tools and skills to succeed. Now, he isn't likely to become the next Josh Johnson or Johan Santana but he just might do a passable C.J. Wilson which is pretty darn good. What makes him an even awesomer (yeah, I made it up) sleeper is you can get him for practically nothing right now. At worst you've picked up a set-up guy that is next in line for saves.